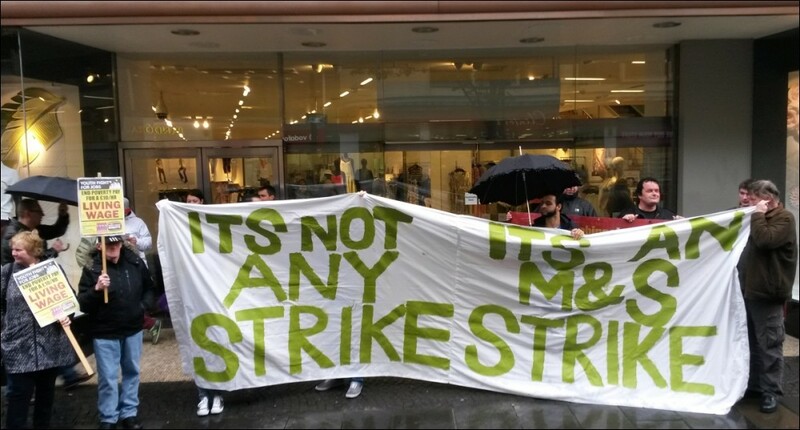 Marks & Spencer likes to claim that it's 'Your M&S' but since it only made a paltry £660 million profit in 2015, the company doesn't seem to have enough money to pay its staff a living wage. Instead workers are being forced to sign a new pay and pensions contract which will mean Sunday, bank holiday and anti-social hours premium pay will be reduced. More than 2,500 shop workers will lose more than £1,000 a year as a result. Staff have been told that these pay cuts will be imposed if they do not voluntarily sign up to these changes. The retailer said it was making the changes to help pay for a 15% increase in basic pay for its 69,000 workers from next April to £8.50 an hour. There is currently a loophole, which made it possible for companies to make changes to staff benefits in order to offset the impact of the introduction of the legally binding National Living Wage of £7.20 an hour this April. A number of companies, including B&Q, Tesco and Morrisons, have raised basic pay only to cut perks and premium payments for weekend, holiday or late working. Socialist Party members in Usdaw say there should be no cuts to pay or benefits for the staff who work in Marks & Spencer, as well as the other companies who are trying to get out of paying their staff the living wage. Instead we demand that the minimum wage should be £10 an hour with no loss of pay or benefits. 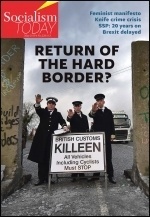 Only with a fighting union and working class support can this happen. Usdaw is one of the few unions to back Owen Smith in the Labour leadership election. 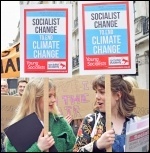 Leicester Socialist Party campaigned outside Marks & Spencer recently, alongside members of the bakers' union, BFAWU, for a £10 an hour minimum wage. Jeremy Corbyn is echoing this demand.